Can The ABL Recreate The Fan Cave? YES. Do you know about the MLB Fan Cave? Because it’s amazing – so you should. And it just opened for applications for next season, which got me thinking… Can the ABL recreate the MLB Fan Cave? And I decided that it can… with a few modifications. In a nutshell, the MLB picks fans (legit, baseball fans – most of them die-hards) to watch games together in the Fan Cave and blog, vlog, tweet and generally go social media crazy about it. 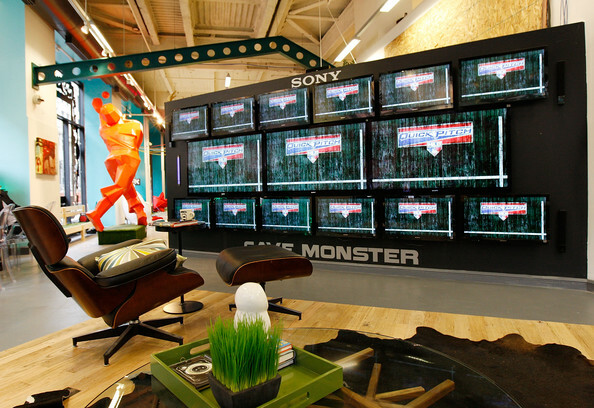 The Fan Cave is this awesome place where there are TVs, snacks, drinks, and fun things – toys for adults, if you will. They have sponsors and the who’s who of baseball make appearances there regularly. The Fan Cave is host to concerts and other events throughout the year and essentially allows for another outlet for fan interaction. The MLB provides housing and a stipend for the fans while they participate – it’s a pretty big commitment. How cool is that? How much do you want your favourite league to pay for your housing just so you can watch every game with a bunch of other fans? And all you have to do is publicize with social media? Tell me the truth: you spend time doing some of that stuff anyway, right? The ABL can’t afford to replicate this right now, I realize (although I think this is something they could get the MLB to help them out with, financially) but they can certainly execute a derivative of this. There are so many ways to do this without spending a bunch of money. They just need one main thing: creativity. The ABL can modify the idea of the Fan Cave and get their members together at the game. I’m SURE they could spare a few tickets. I’m thinking at least five people per team, ideally ten (that way you could get a minimum of five to eight per game and costs would stay low). Let me show you how this can be a cheap thing to do. Idea 1: Sit them together so they can bond and brainstorm… or get them a cool office within the ball park and stock it with snacks and a sick TV – there’s probably already a room like this, right? Idea 3: Get them some gear to dress up in. Hat, shirt, lanyard for their game pass. Done. If they post photos, you need them looking good. Idea 5: Let them hangout with the players. Think of the amazing photos, quotes and interviews that would be all over the web! Do you see? The total cost for this program would only be a few hundred dollars – which could easily be adjusted depending on how much you can (or want to) give. The only inconvenience would be selecting the people and manage their happiness (but they’re big kids, so it shouldn’t be that difficult). But this is all publicity. People notice these things! They’ll be jealous at the cool things these people do and want to be a part of it. And as I’ve said time and time again… who can say no to free advertising? Oh, and for the record, I think this is something that ANY Australian league could execute. AFL, NRL, NBL… this is fair game. I will implement this once one of them hires me (ready, set, GO!). Would you want to be a part of something like this? Do you think it would generate positive buzz about the organization? ← Why I Was Wrong About Knowing Your Audience.